Avoid the shrinking edge of the universe. 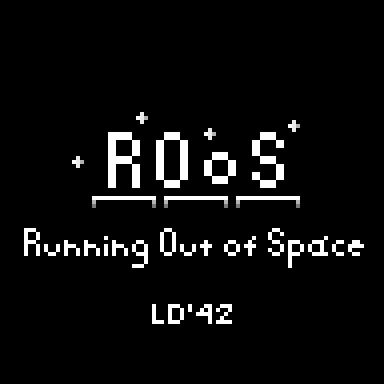 ROoS( Running Out of Space ) is a 2D platformer where you have to collect and spend "space" to jump. The universe is contracting, so don't hesitate. Run! This game was made in under 48 hours for the 42nd Ludum Dare Compo.